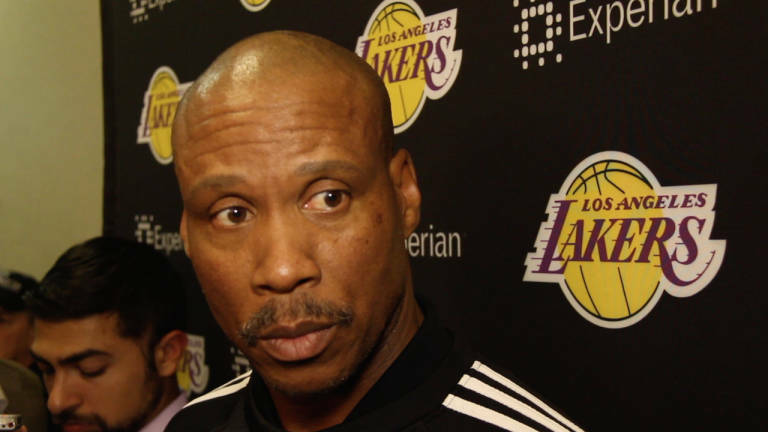 Put yourself in the shoes of Byron Scott. You are the 4th overall selection in the 1983 draft by the San Diego Clippers then get traded to the high-profile Los Angeles Lakers for veteran guard Norm Nixon. Immediately, you become a key member of a Lakers’ team during the Showtime Era led by guard Magic Johnson, center Kareem Abdul-Jabbar, and forward James Worthy. Together, you won three NBA Championships in the 80’s including back to back titles in 1987 and 1988. You enjoyed a 15-year professional career before moving into the coaching ranks in 1998 immediately after retiring as a player. Fast forward to the summer of 2014 where you returned to the Lakers as their head coach. This should be a dream come true for you returning to the city that highlights your playing career and brought you many life-long memories you will always cherish. While the current Lakers’ team does not have the talent of the Showtime Era, you still have Kobe Bryant who will go down as one of the greatest players to ever play the game. You also draft Kentucky star, Julius Randle, with the 7th pick of the 2014 draft. The Lakers signed Jeremy Lin to run the point and veteran power forward Carlos Boozer to give your team a presence down low You also inherited the talented guard/forward Nick Young coming off a 2013-2014 campaign where he averaged career-highs with 17.9 points and 1.5 assists per game. Sounds like a pretty good nucleus that can get the Lakers to the playoffs and be competitive with any team in the league, right? What sounds good on paper doers not always transfer to competition. Randle broke his right tibia the opening night of the year and had season ending surgery the next day. On January 21, 2015, Bryant tore the rotator cuff in his right shoulder and had season ending surgery a week later. Young, who also goes by the self-proclaimed moniker of “Swaggy P”, has been injured a great deal of the season as well. Yet, his season has been filled with incredible highlights or incredible lowlights as evidenced by Swaggy P prematurely celebrating a three-pointer that did not go in the basket. Boozer has been a bust and Lin is so inconsistent it makes you wonder if “Linsanity” ever occurred or was simply a dream. With these players missing games or underachieving, the talent left on this year’s Lakers’ team is quite comical. They often resemble the Bad News Bears of basketball and are hard to watch for diehard Lakers’ fans such as actor Jack Nicholson and actress Dyan Cannon. Ever hear of Jabari Brown, Ronnie Price, Robert Sacre, Tarik Black, Jordan Clarkson or Dwight Buycks? Neither have I. Well they are members of the current Lakers’ team, and many are getting quality minutes. Poor Byron Scott. This season has him so frustrated that he recently said the following courtesy of The Los Angeles Times. Scott is always discussing how players who are set to be free agents have told him they want to sign with LA and be a member of the Lakers. This may be true although many skeptics believe Scott is trying to light a fire under his current roster of players and let them think they are playing for their jobs since there are only four guaranteed contracts for next season. At least Magic Johnson had much more talent to work with in his brief 16 game stint as coach of the Lakers in 1994. He was coaching former teammates Worthy, Kurt Rambis, Vlade Divac, Elden Campbell, and Tony Smith. Johnson quit at the end of the season with a record of 5-16. This year’s Lakers’ team has a record of 20-57 with five games left and has assured itself the second-worst record in team history. This year’s draft looks pretty strong, but the Lakers could definitely improve by winning the draft lottery and selecting Duke freshman center Jahlil Okafor. However, if the ping pong ball gives the Lakers a pick outside the top five, then the Phoenix Suns get the pick compliments of the recently released Steve Nash who was traded to the Lakers in 2012. Nash underachieved in his Lakers’ career due to health concerns and his increasing age. Lakers’ fans (and Byron Scott too) need to pray to the basketball Gods that luck be on their side during the draft lottery and with free agents over the summer. Scott knows the game too well and appreciates the history of the Lakers to let this monstrosity of a season continue in future years.